Navratri is nothing short of an extended concert for youngsters, the Navratrians. Yes, there is a spiritual side to it, but the fun side to the festival is about dressing up in the swankiest traditional outfit and swaying to Falguni Pathak’s ageless rendition of ‘Pari Hoon Main’. It is a time when the curfew to come back home at night is extended by the parents so that the younger generation can travel to dance at various Navratri events organized across the city. This means that there is going to be a lot of night-time driving for nine nights while coming back home. The combination of a tired body and an exhausted mind is not conducive to driving. Thus, listed below are 9 tips that can help you to activate your Dark Knight mode while driving at night and drive your batmobile home safely. Following the stranger, you met while dancing isn’t a good idea but following the car in front of you and using it for navigation probably is. Car tailing at night can alert you in case of speed breakers, potholes, etc. Ensure to keep a safe distance while tailing and adjust your driving technique according to the car ahead. You have danced four times to ‘Dholi Taro’, and probably won the best dancer of the night prize as well. But remember, you have to maintain the right posture while you are driving home. Slouching while driving isn’t going to be of any good to your already aching back! Every Sartaj needs a Katekar! Your co-passenger can be a good navigator on long night rides. Apart from being in charge of managing the mobile’s songs playlist, the friend can keep an eye on the road, read sign boards, check the map, etc. You can even switch positions if you are tired and the friend is authorized to drive. Using maps as a guide is fine but considering the suggested route as sacrosanct is not advisable. Sticking to your regular route is a good idea even if it is slightly crowded by other cars. You never know what surprises/shocks an unknown route might hold, especially at night. After a night of dancing, your body and mind must be longing for a hot shower and your inviting bed. However, you still have to reach your home. Increase your alertness quotient while you are driving at night. Such expectations will keep you in a better position to act if such expectations come true. Hope they don’t. The number of vehicles is less at night compared to daytime. However, an open route doesn’t mean you turn into Vin Diesel from Fast and Furious. Speeding is fine but over speeding isn’t. Ensure that your car’s speedometer stays humble. You cannot control the speeding bus or the bike rider who thinks he is auditioning for Dhoom 4, but you can surely control your speed. 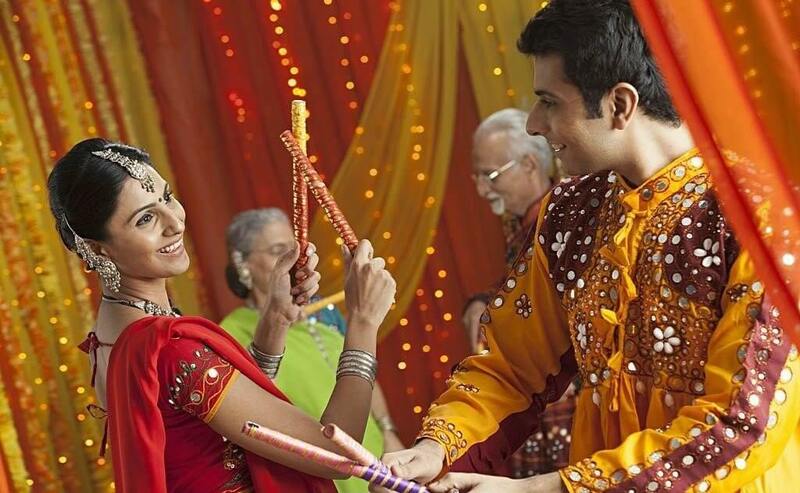 You might’ve focused a lot on making the right dance moves and ensuring that your dandiya doesn’t hit someone’s fingers, but it isn’t enough. You need to focus a bit more for the night so that you can drive properly. Some people find it difficult to focus on the road at night. Night-vision goggles can come in handy to manage such light sensitivity. Do you like it when the incoming car flashes a blinding beam of light? No, right? Guess what, the incoming car’s driver also doesn’t like it when you do the same! Adjust headlights, give appropriate signals, and change lanes judiciously. Whether it is night or day, sunshine or rainfall, you are driving home from a Navratri night or after binge-watching Narcos at your friend’s home, driving rules remain same all the time. Play by the rule book and avoid getting in trouble with the law. Always follow traffic rules, insure your car, renew its PUC, and ride safely.